Is a simple solution to perform online backups. It does files and folders, which also allows to select which specific data sets to choose to control how much data you would like to send to the cloud. Also, it has many different types of plugins, to make it easy to backup different types of files and help make the deduplication efficient. The rest of the application is mostly user friendly and it makes it easy to perform restores, create users and monitor the servers activities. The Avamar client is easy to install and set up to backup. The application is not secure enough to be compliant. It does have basic encryption for the transfer of the backups but it doesn't allow to encrypt the backups itself to make them more secure. The creation of users is very simple, doesn't have password restrictions and doesn't have strong user profiles that can allow to restrict the access based on specific options. The management of the application is not cloud, it requires to install Java and a Console to access the settings and perform restores. Is not intuitive to configure the datasets, schedules, alerts, among other things. You have to go to different options to finish the configuration of these features. And lastly, the software requires to have a proprietary hardware for the cloud always up to date on the generation, otherwise it could easily reach its end of life in several years, which would require a new big investment, which makes it an expensive. This is useful to consider when the needs to transfer data are very specific and you just need to do simple files and folders to the cloud. But if there's a need for business continuity might be best to search for a different tool. It is a simple tool that allows to backup specific information, only files and folders, and it does a good job with deduplication. That flexibility makes it easy to set up and inexpensive for our customers, because they can control the amount of data they send to the cloud and what they pay. "Back up and Restore tool"
I like the simplicity on the tool and the option to back up multiple devices running different operating system. The way list of devices is showing gives you easy and fast access to it. you basically can do a restore by doing a couple of clicks. the new skin looks much better. I don't like the fact you have to use a specific version of java depending on the version of EMC avamar that your running. if java gets updated you will need to uninstall it and re-install the version compatible with EMC avamar. I recommended, but make sure you have a good agreement in terms of support. Able to restore files that users deleted by accident. The benefit is that you have a reliable back up. "Its a Great solution for Small to medium size business. Easy to use and implement"
Well we used to have this solution implemented for backups of physical and virtual servers for data around the 2TB of size. For this requirements this is a good solution. It is a appliance so the solution is pre-configure and with a fix sized of data for every data node you added. I like the most is that with just install the agent you can rapidly start backup jobs and the deduplication features are good for to backups on average 2 x the data. The solution works good and the admin gui is simple. You can be asure that when you grow the solution, you will get both processor and capacity , so the performance stay almost the same. Ok the solution is sell as a appliance so there is a downside to this. When you need more capacity over the years you cannot add newer storage nodes that have more capacity or better processor power. You are stuck with the data node generation that you first bought. So this is a a drawback. We where growing raplidly with the backup needs and it turns out that for data over 2TB of size, it doesn't perform very well. So the solution are for small and medium business size. You can use EMC Avamar for your backup needs that are target at small to medium business. If you are planning to grow quickly say backup sizes over 2TB, you can look at EMC data domain. But for backup sizes under the 2TB mark. it is a good solution and the implementation is really easy. It is a good product and easy to administer. We started to do backup from some virtual environments and some physical servers that were not big databases. Also we used it to backup end point. mainly critical data from staff members. The backups perform well and the agents you install works instantly. The restore process also is simple to use. file system backups are very fast , always incremental , easy to administer , faster and simple BMR. easy to set up replication to DR .
cache file dependency , if any cache file got corrupted then the next will be full backup . virtual machine individual files restore limitation . during maintenance window only few backup can be run . for filesystem backups , for BMR restore and managing is very simple. "Versatile backup program but requires a lot of detailed config"
VMWare backup with GLR and change block tracking enabled is pretty good. CIFS backup is very quick using NDMP Accelerator node for large amounts of data. Deduplication works especially well when paired with data domain as the backup target for storage. Replication is fairly simple and probably the most reliable part of the software. This is not an easy out of the box solution. Requires many different configuration pieces and plugins to make the various backup types work properly. If using to back up SQL cluster there are various bugs and need for work arounds. Exchange and Sharepoint backups require additional licensing and add on software in order to do GLR. Built in reporting tools are insufficient. Requires the addition of Data Protection Advisor suite to track and report on backup trends. While it is a very versatile solution it is also an expensive one. Make sure you have an accurate picture of your total data when planning implementation. Expanding the nodes and adding capacity is costly. Ability to backup Windows File System, VMWare Virtual Machines with GLR, Exchange with GLR, Sharepoint with GLR, CIFS and NFS vols and SQL Databases all in one single platform. We have complete compliance with our retention policy and replication to an offsite facility. "Complex, Good, Interesting Use Case"
So, I like it, and it works well enough to justify using it. I used the lite version on a VNXe3300 with a few hosts, and the backup and recovery rates seemed decent enough, retention periods weren't a maze to navigate and the interface was understandable. Few options outside of the "EMC Approved" Methods to get the data to multiple locations to make the backups secure by holding in multiple ways. It seemed like using it more was leading us down a path of spending more and more money with EMC. The deduplication rates weren't anything to get excited about despite our environment being very homologous. Have a clear deployment plan in place, make sure you ask all questions about current and projected needs. We were looking for and tried maintaining it in an environment that needed fairly basic backup and recovery needs, it works for that, but ultimately it wasn't for us. "Hard to get up&running, but works great"
Avamar is great at doing backups, the fact that is can backup also VM's and even backup data inside the VM's is great. I worked extensivey to integrate Avamar with a custom Web Application and the use of the AvamarCLI was just pure magic. They worked perfectly and allowed us to manage backup in a simple, straight forward manner. The Avamar Admin console works also very well. It is very hard to get up&running for the integrator, understanding the proxies and it's requisites is quite hard. And the Avamar Administrator console is just terrible looking, java has come a long way, EMC should upgrade the looks. We had to buy the accelerator to correctly integrate it though, and this cost us. The desing has to be carefully validated to avoid having costly surprises in implementation phase. Backing up the whole VDI infrastrcuture and allows users to restore both the VM image as well as single files and directories. "Involved in implementation and management for less than two years." Moving to Avamar from Arc Serve, we decreased our backup times from days, sometimes more than a week, to hours / a couple of days. Restoring VM's is VERY easy. Avamar integrates so well with VMWare. Coupled with a Data Domain storage target this solution can ingest an unbelievable amount of data in a short period of time. Restoring files. On a monthly basis we have to restore a few specific folders from several VM's. The folder restore is easy if you only need a few files. In order to restore several hundred files the best practice is to restore the VM and copy the files off of it. We also restore our Exchange Db's to a file to send offsite. Avamar won't do that unless there's an Exchange server it can restore to. Great for shrinking your backup window. Client side dedupe is magic. Adding a Data Domain target behind it makes this an amazing solution. Backup windows are again manageable. Most restores happen quickly, easily, and successfully! "Avamar is a great tool"
I love the options for backup for specific software and operating systems. I can choose a different profile for virtual machines, linux, SQL, exchange etc. It is very easy to restore anything from 1 file or the entire snapshot. Restoring mailbox objects have been extremely useful. Some basic tasks need to be done with command line - such as changing DNS and can be a bit challenging. Some error messages about batteries occur often but when shown to EMC support - they say to ignore these messages. Make sure you keep up with the activity log and make sure all of your backups are running and completing successfully. Run some test backup and restores to verify this. EMC avamar works well with all storage and version of servers. Disaster recovery is on a large plate. Having continuous backups is very useful and assuring. Exchange is just too big for our backups. If it fails one day - we are overloaded with logs. "The only backups solution that is actually kind of fun to work with"
Everything. I love the dedupe rates, the reduction in complexity, and the speed. I love the application specific plugins as well. The VMWare integration works very well. Support is incredible. It runs Linux on the back end, so you can overcome a lot of what would be shortcomings if you know what yo are doing. The main things that come to mind are that sharepoint GLR doesnt come baked in. I also don't like that we need to be full SA on SQL to do backups. Reporting is a little sparse, you need to know SQL commands in order to bake your own. The lack of automated SQL and file level restores is a pretty major shortfall. Some of the older hardware had reliability issues. Additionally, in my experience the dedupe rates vastly exceeded even what the sales guys promised. Your support will also be top notch. SQL will require full SA permissions. We are resolving exactly the problems we purchased the software for: Protecting our companies data. The disk backups eliminate the tremendous amount of work that tape would be. "For backup of Oracle database dump files"
The delete ratio is higher than other backup devices. The management is easy but the underlying algorithm is not open source. The restore speed is fast. You can not expand the storage of avamar. If the storage reach the capacity, the only way is to buy another avamar or clean some less important backup. If the amount of data is not quite huge and most of the data is almost the same, you can try to use avamar which is easy to set up and manage. For Oracle database dump files backup and restore. Easy management of Oracle database backups, you can design several policies for different backups to apply. "Avamar by itself is good, but press the turbo button and back it with DataDomain"
I still struggle backing up windows clusters. It just seems that the software is not enterprise ready for cluster backups. There should be more data available when a backup fails. Now that we've had the system in place for a while, we're able to better determine cryptic description like "Administrative error occurred". Get it.... but with the DataDomain. In previous version you had to split up the physical and virtual backups. Now, we can get the same deduplication which is a huge win for EMC. Backing up the entire environment whether VM or physical on a nightly basis. Our failure rate is around 0 with hundreds of systems, file, and image being backed up. "EMC Avamar is possibly the best backup software on the market." Avamar is ideally suited for a large corporate environment, with many virtual servers, thousands of desk top systems, and many remote offices. It optimizes bandwidth, maximized storage utilization, and makes backup and recovery of these systems a breeze. Avamar still struggles with very large Databases, and with clustered applications, such as SQL and Exchange. No single backup product can be effective at backing up every kind of data set. I'd recommend utilizing native tools to backup these systems, and storing the data on Data Domain storage for maximum performance and deduplication. Make sure you are utilizing Avamar where it works best, and don't be afraid to have two backup solutions in house. Leveraging Data Domain storage is a very cost effective way to maximize your data protection. Avamar addresses the problem of restricted or limited network bandwidth in a data protection scenario very well. Also, due to it's advanced file management, it performs normal backups in a very short time, maximizing system availability. Avamar is incredibly stable and fast. I backed up all of my physical and Virtual server with our grid and also replicated that to an off site grid. The Compression and Deduplications allowed for me to backup so much more data than what the system physically was provisioned with. The way backups are setup is a little different. Once you are use to the process it is easy to setup new jobs. Upgrading the software on the Avamar could sometimes be a little difficult or confusing for me. The software seems to evolve between each release and in fairness it seems to get better each time. It is not a cheap system and is definitely and enterprise product, but it is worth the money you spend. I would suggest getting a third party expert to help get your initial setup done with all of the best practices. Getting started on a good foundation is imperative for any successful project. We were initially having trouble getting backups done in a single night. The amount of storage need to do the backups was monumental as well. With the Avamar's deduplication and performance we are able to use less disk space and cover all of our backup needs with on system. It is also nice having a single system that can backup our physical servers as well as our VMware Virtual guest as well. Scalability, ease of use. Runs on ded up location which is extremely efficient. Integrated with Data Domain backups are incredibly fast. Not much I dislike but database compressed files and Avamar deduplication will create chaos in your environment. Disk backup eliminates the need for tape, restores are relatively simple. Protecting all the data is a plus. "I've worked with Avamar for over 4 years delivering private/public and hybrid deployments." Avamar is an Enterprise Grade Platform and we deliver it in a fairly unique way - utilising our own proprietary portal to make managing the backups simple and intuitive. It supports all major business critical applications and it's client side de-duplication ensures backups are completed well within backup windows. On the rare occasions that you do encounter problems it can be a pretty painful process when dealing with EMC support which does diminish from the overall experience of the product. Make sure you size your environment correctly to avoid having to spend additional Capex to upgrade or add additional capacity or increase performance. We leverage EMC Avamar to solve data protection issues for organisations of all sizes. We make the arduous task of data protection simple and have saved organisations on average 4 man days per month. Not only that but by leveraging EMC Avamar we de-risk the backup service and offer reassurance that should data need to be recovered it can be. Avamar is a distributed index based architecture and does not maintain a single meta database, rather it uses the self describing organization of the unique ID’s. The Avamar server takes checkpoints which are snapshots in case a roll back to a previous state is required. It mainly suits with small or Medium level enterprises. Avamar has a performance impact on the customer’s application servers as it is a client side only implementation. The Avamar server runs on a single server for small environments or scales up by adding additional systems and redistributing workload with automatic load balancing. That it will back up when you babysit the product. It took a while to get everything set up with the correct features we needed in our environment. It was difficult in the initial set up. We were told one thing and when we finally set everything up it was not was what needed. We needed to add additional storage and reconfigure everything a couple of times. We are able to backup our data and easily restore it. I like the integration of the backup target with the client software. Bare Metal Restore capabilities could be better. Try it and you'll like it. Use the AVE (Avamar Virtual Edition) leveraging VMware, and you can use any storage you want, and not have to rely on dedicated storage for your backup target. Knowing that I have data available to retrieve from past backups in a fast, secure environment. Especially if you have the ability to replicate the data to another location, and utilize different retention policies for the local, vs. the remote data. "Product worked very well, it is worth the money if you are an enterprise." Image backups are seamless and you could easily restore files that are missing. The backup process never took long at all, because of deduplication. I like the user interface as well from EMC Avamar. It was relatively easy to use in comparison to EMC's other product NetWorker which primarily focused on tape backups. Avamar is a great piece of software you can look at and as long as you know the computer host names you are backing up you know exactly where everything is backed up. Dislike that its only for enterprise businesses, because I could see myself using it at home for a backup solution for quick restores. Also, since log files are files that change often then the process of deduplication slows down the back up quite a bit, so if you're backing up log files be prepared for back ups take a while. Which means if you have a select time the backup can't run then the backup won't backup all your files. It works well, I really wish I could use it at home to use it as a home solution but it is not economically feasible for home use unless the business model has changed. I was solving a problem with backups that used tapes and converted over to disc backups which would then replicate to another office location. Benefits are the data within retention can be restored fast. Benefits by far outweigh the cons. File directories as big as 100tb that have changes can be backed up in minutes which means less network usage. While the EMC Avamar product itself is amazing, the support from the staff is where EMC really shines. Everything from the demos to the constant support for the product has been wonderful. While lower than some other products on the market, I found that the was a little on the steep side, although for a company that requires a large storage solution, large budget often go hand in hand. The current problem that my business is solving is one of storage. We already SANs in place, but the EMC staff managed to stand out in helping us to incorporate the avamars as part of our storage solution. "I oversee all aspects of the backup and restoration process for our company. " The technology associated with the EMC Avamar production is excellent. The capability for retaining large amounts of data for long retention periods is amazing. The EMC AVAMAR interface is lacking and not easy to use. Reporting features within the application are poor at best. Another application like EMC DPA is necessary in order to get meaningful information. Purchase any training you can for this product. Get a firm understanding of all the concepts involved and a basic understanding of how the technology works. Determine upfront what you are trying to accomplish. If possible get a proof of concept for your environment. Force yourself to use it for atleast 90 days. If you are purchasing from a reseller make sure they can support the product as well. Purchase services from that reseller to train and provide initial instruction when beginning. "5 years of my experiance"
Problem in identifying exact backend size of clients. Not supporting old OS's comparability. Most of companies still use windows 2000, XP etc due to various issues and each Avamar production version is leaving out old OS. Other Backup tools like commvault, Netbackup & even Networker still compatible even though does not support officially..
We can backup almost all operating systems. OSX ? windows? linux ? virtual machines ? AIX ? SOLARIS? the list goes on and on. It takes a bit of patience to administer the system at first. There is definitely a learning curve involved. Reach out to someone with experience before committing to the product. At this price point, there needs to be some expectation management. In the enterprise world we have time constraints. Avamar is able to backup a tremendous amount of data in a short period of time. "painless deployment and management with EMC avamar"
"Product gets the job done"
"rediculously complex install. horrible UI. Super performant solution"
BCP and small windows were problematic. These went away once the products was installed... but it took a long time to get there. "Excellent Backup and Restore Product"
I can restore virtual machines in their entirety. I can also restore on a file level. We also replicate to a secondary site. Configuration is a little challenging. There’s a lot of places to configure, and associate objects. It’s reliable. Make sure you check everything, since configuration can be difficult. "Great product, not so great support." Client side or server side dedupe. Great WAN optimization. EMC support is not very helpful until level II, often time level III. Avamar's version of NDMP go far beyond the standard NDMP specifications therefor is not supported by other Storage Vandors like NetApp (who helped write the spec), if you go this route, by the highest level of support offered. "EMC Avamar working for our needs and beating the competition "
The algorithms used to reduce the amount of data actually transferred has made this a success for us where other products have failed. The interface at times can be challenging. The requirement for Java bits heads with our security posture. The lack of generalized knowledge and freedom of troubleshooting steps from EMC seems very limited vs other better know products. 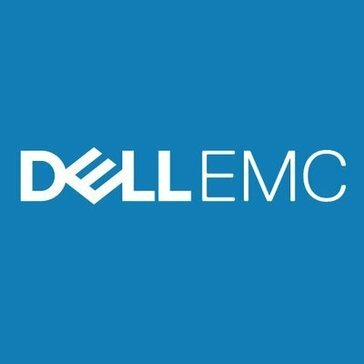 We should have to involve EMC's support for minor issues. The need for quicker backups and data vaulting over very poor network connections. Both of these needs have been met. "Works well for disk to disk backup"
Dedup and replication - Was able to backup 8 Servers local including Exchange and 4 plant servers in 45 minutes. After successful backup we replicated that data to our secondary data center. Upgrades were a little cumbersome. Ended up having EMC log in and take care of our upgrades. Solid backups for an almost 24/7 automotive supplier. Reliable & safe, securely backs up our files without worry of "did they backup okay?" Restoring files occasionally experience hiccups with file path. No Fiber connection. Seems as though with Data Centers today if this product had Fiber the communication across the Data Centers and replication will increase. I am leaving the tape environment and the de-duplication is great! "Good at Large Data Over Small WAN"
Integration with Data Domain is the best way to use it. The interface and reporting is terrible. It is also too expensive. * We monitor all EMC Avamar reviews to prevent fraudulent reviews and keep review quality high. We do not post reviews by company employees or direct competitors. Validated reviews require the user to submit a screenshot of the product containing their user ID, in order to verify a user is an actual user of the product. Hi there! Are you looking to implement a solution like EMC Avamar?